LG Mobile is promoting the G2 OIS Camera with “Steady Feathers”, a tongue-in-cheek online film featuring Lizzie, a camera-wearing chicken. 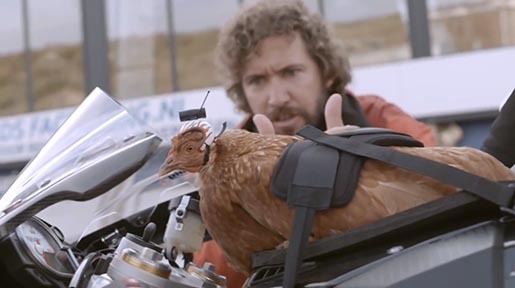 Dave, an avid photographer, discovers the secret to steadicam effects on the go and puts it into action with his pet chicken rigged up with Galluscam. The Steady Feathers campaign rides on the wings of the Mercedes Benz Chicken ad. Gallus gallus domesticus is the genus name for the domesticated fowl. 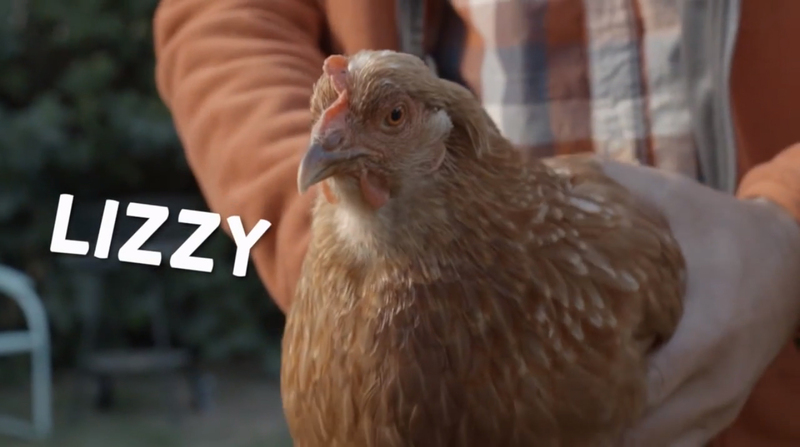 The Steady Feathers ad was developed at SuperHeroes, Amsterdam, The Netherlands, Krema Worldwide, by creative directors Rogier Vijverberg, Thijs Biersteker, Dylan Son, art director Silje Lian, creative strategist Felipe Camara, agency producers Severien Jansen, Hattie Kim and Serena Choi. Filming was shot by director Willem Gerritsen via Czar.nl with director of photography Gabor Deak, producers Hein Scheffer and Anne de Ritter. 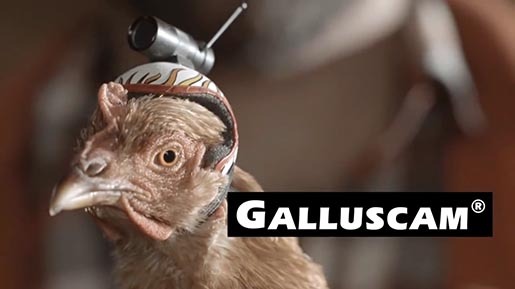 Post production was by Justin Baker, The Bakery, and Fred Huergo. Music was produced at MassiveMusic. The Youtube fragment in this film is courtesy of the SmarterEveryDay channel.